• General Convention will begin in Texas in a few days. 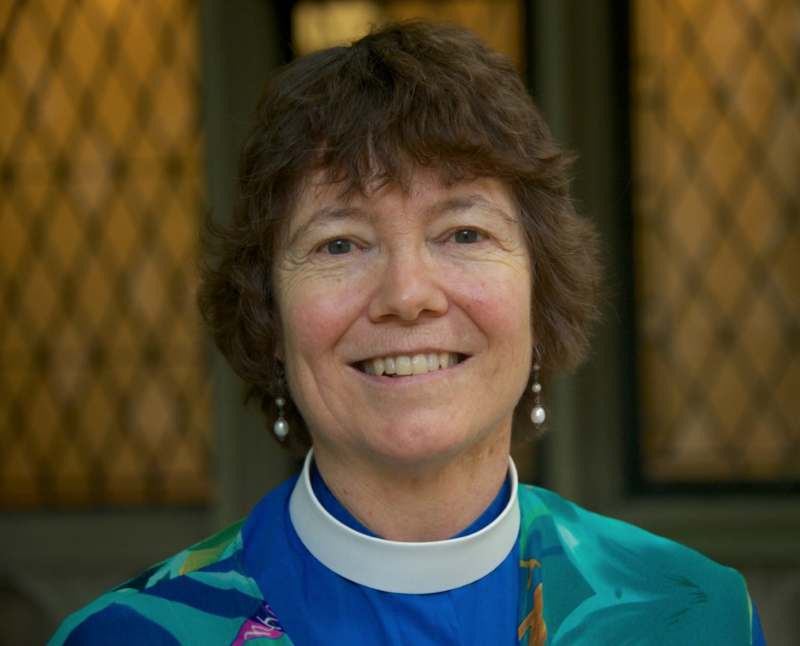 As part of the events offered by Episcopal Divinity School at Union , I will be one of the speakers in a Facebook Live conversation, “Toward a Just Earth.” On Monday, July 10, I will join Ms. Karenna Gore and EDS’s Dean Kelly Douglas for a conversation about Creation care. Tune in to the EDS Facebook page at 1:30 p.m. Click here to learn more about the panelists. • The 8th annual Peace Conference at Rolling Ridge Retreat and Conference Center in North Andover, MA will be focused on “Creation Care and Interfaith Dialogue” during the weekend of July 21-22 . I will moderate a panel discussion among Jewish, Catholic, and Muslim environmental leaders. The discussion will explore the spiritual foundations of creation care in our respective faiths, and how environmental justice becomes the "Tie That Binds," the theme of the conference. With so much divisiveness in our society today, care for Earth as our planetary home needs to unite us and bring peace to our broken world. The interfaith panel conversation will take place on Saturday afternoon, July 21st, followed by a free community concert featuring Fred Small, musician and climate justice minister. A free-will offering will benefit the Indigenous Environmental Network . Sunday, July 22nd will feature workshops that delve deeper into the spiritual roots of creation care in the Christian, Jewish, and Muslim traditions, while also exploring practical opportunities to protect Earth, our common planetary home. I will lead a workshop on interfaith environmental activism. A closing service will celebrate our unity through song and prayer. Those interested in attending may register for one or both days, with an overnight retreat option also available. More information may be found here . You are invited to download a flier and brochure . Please help spread the word. • A few weeks ago, I traveled to Greece to participate in an international symposium. 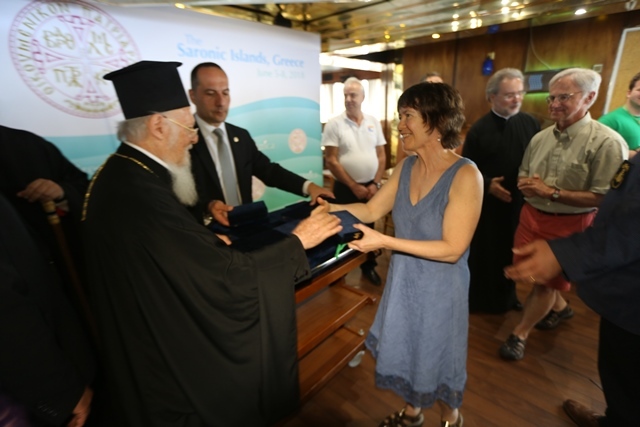 As it turned out, during that extraordinary week, both Ecumenical Patriarch Bartholomew and Pope Francis – the leaders of Eastern and Western churches, representing billions of people worldwide – spoke with one voice about the moral urgency of addressing the climate crisis. Click here to read my blog post about the experience: “The week that was: World leaders confront climate disruption.” Episcopal News Service published a shorter version of the article, which you can read here . • The Massachusetts Senate unanimously passed a bill that provides for economy-wide carbon pricing and other important provisions. Mass. Interfaith Power and Light is fighting for passage of a carbon pricing law in the House. Please sign the “Interfaith Call for Carbon Pricing,” if you haven't already done so. To read and sign the Interfaith Call, go to www.MIPandL.org (at the right under the black smoke stacks). 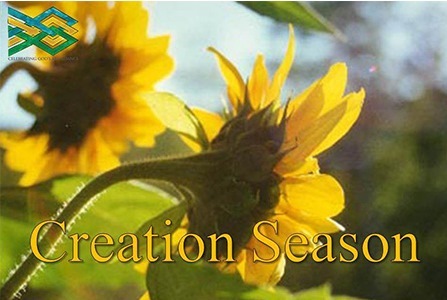 • Get ready to celebrate Creation Season, which begins this year on September 1! Our diocese is joining Christians worldwide in setting aside time to deepen our relationship with God, each other, and all of creation. Visit the Creation Season page on our diocesan website to find updated materials on how your congregation can act, advocate, learn, and pray. Learn more about why we begin on September 1 by clicking on the "Read more" link under the Creation Season graphic. There will be no August edition of Creation Care E-News, but look for a September edition as we move into the fall. Until then, I wish you a joyful summer. 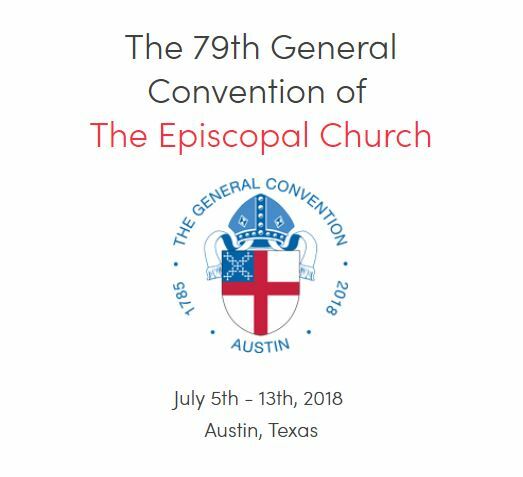 At present there are ten resolutions before The General Convention of the Episcopal Church pertaining to the environment. You may review them here.